As Hurricane Irma ravages the state, Florida residents will likely incur massive losses. Hopefully, the losses will be minimal, or at least, covered by some form of insurance. But if they are not, and if the losses are great enough, Floridians may be able to qualify for some tax relief under the tax code, given to those who are victims of natural disasters. The IRS allows taxpayers to take deductions on losses of personal property during a natural disaster (as well as vandalism or theft), so long as the property was not insured and the damage meets a certain threshold. To see if the losses qualify, you first determine the value or amount of the loss. To get the deduction amount you then subtract two items. The first is $100, an easy and straightforward deduction. Secondly, you would subtract 10% of your adjusted gross income for the year. So assume you lost an item that had a value of $10,000. If your gross income was $70,000, 10% would be $7000. After also reducing the loss by $100, your total deduction would be $2,900 (in other words, $10,000-$7,000-$100). Note that if you had a loss that was less than $2,900, you would receive no deduction or tax benefit, because the lost must exceed the deduction amount. As you can tell by the numbers, the deduction won’t work for everyone, and may only be useful with larger, more expensive losses. Still, it can be helpful for those who have sustained serious monetary losses during Hurricane Irma. There is some better news for business owners. 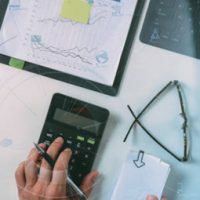 Business losses don’t have to go through the subtraction calculations, but rather receive the full value of the losses as write-offs or deductions (assuming of course that they are uninsured losses). For those who are in federally declared disaster areas, you can claim the deduction on either 2016 or 2017 taxes, allowing for more immediate relief. As the scramble for insurance coverages and payments begins, remember that profits from insurance can lead to tax implications. Usually insurance will pay you at the fair market value of the property that is lost. However, taxes take into account the difference between the insurance payment, and what you originally paid for an item. So, for example, if you bought a classic car for $10,000, fixed it up, and 10 years later it was worth $50,000 and then destroyed, insurance may pay you $50,000. However, the IRS may look at the difference between $50,000 and $10,000 as “income” to you. This can be particularly insulting if insurance doesn’t pay you what the item was worth—such as if they only paid you $35,000 for that classic car. If an item is replaceable—say, furniture—you can minimize the tax penalty by purchasing replacement items. The taxable income then is only calculated by the amount the insurance exceeds what you paid to replace the property. Get all the tax relief you can during this difficult time. Contact Tampa estate and tax attorney David Toback to discuss maximizing tax deductions.